February 28, 2011 | Filed under Industrial Design, Slideshow and tagged with Blow molded, plastic, Travel. Your “Portable Sports Bench” is a great idea and it looks like a nice product. I am one of the owners of Custom-Pak, Inc., ( http://www.custom-pak.com ) the largest manufacturer of custom blow-molded products in the U.S. There are 6 manufacturing facilities located throughout the United States, over 200 blow-molding production lines, 800+ employees, privatly held, non-union. 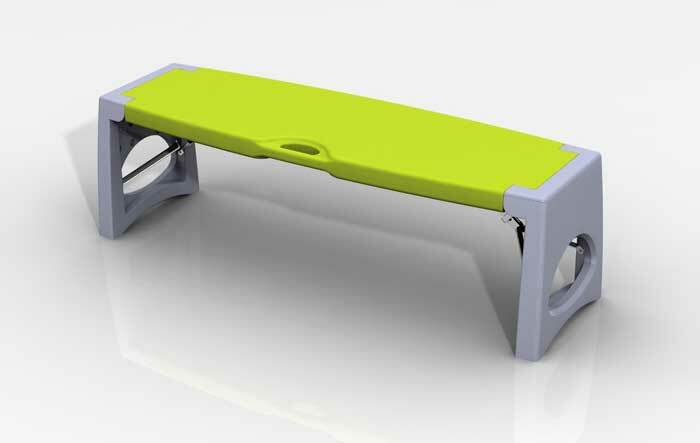 We are very interested in manufacturing the blow-molded Sports Bench, please contact me if you may be interested, or would like additional information about our operation. I believe you will be very imppresses with all we have to offer.